The current mechanisms for funding graduate medical education feature “a striking absence of transparency and accountability,” a new Institute of Medicine report concluded. In the report, Graduate Medical Education That Meets the Nation's Health Needs, the IOM panel says future funding should be based on a program's demonstrated value and contribution to the nation's healthcare needs. While some residency positions are paid for by states, philanthropies or industry sponsors (PDF), most are federally funded through Medicare and Medicaid, which contributed an estimated $9.7 billion and $3.9 billion, respectively, in 2012. The Veterans Affairs Department and HHS' Health Resources and Services Administration also provided about $1.4 billion and $500 million each. Despite this reliance on the federal government to pay for their training, new physicians “have no obligation to practice in specialties and geographic areas where they are needed or to accept Medicare or Medicaid patients once they enter practice,” the report concluded. The VA and HRSA also provided funding for the project as did 12 private organizations, including the Josiah Macy Jr. Foundation, whose earlier reports were said to have sparked the IOM study. The committee that wrote the report was co-chaired by former CMS administrators Dr. Donald Berwick and Gail Wilensky. Maintain aggregate GME support at the current level with annual adjustments for inflation, but move toward performance-based payments, ensure accountability, incentivize innovation in content and financing, and phase out the current Medicare payment system. Build a GME infrastructure that includes an HHS GME Policy Council similar to the Medicare Payment Advisory Commission, which would develop policy for geographic distribution and specialty configuration of the physician workforce, and create a CMS GME center to manage funding and data collection under the guidance of the policy council. Create one GME Medicare fund with two subsidiary funds for operations and innovation. Have funding be sent directly to GME-sponsoring organizations based on a national per-resident amount with geographic adjustments while implementing performance-based payments using information gleaned from innovation fund pilot programs. Medicaid funding for GME should remain at the individual state's discretion, but with improved transparency and accountability similar to Medicare-funding reforms. These recommendations would require legislative action, the report notes, and the committee urged Congress to amend Medicare law to initiate a transition to a performance-based system of Medicare GME funding. Federally financed residency positions were essentially capped in 1997, but funding from other areas has supported a 17.5% increase in the number of training slots since then to almost 118,000, Wilensky noted during a news conference on the committee's conclusions. Still, a shortage of residency positions is seen as a bottleneck to increasing the physician workforce. This year, a record-high 26,678 first-year residency positions were offered for which 40,394 medical school seniors and graduates applied, according to the National Resident Matching Program (PDF). But Wilensky said there was agreement on the IOM panel that merely increasing the number of residency positions would not solve problems with geographic and specialty distribution. “The inability to redistribute slots is a problem,” she said. Under a performance-based system like the one the committee recommended, she said, an institution's GME funding would not be guaranteed into perpetuity. 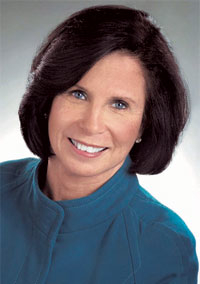 Wilensky said GME Medicare dollars are disproportionately distributed to New York, New Jersey and Massachusetts and that, because of a lack of accountability and transparency, the current expenditure “is difficult to justify.” And while programs in these states may lose operational GME Medicare funds, she suggested that “they have a huge head start to propose innovative programs” and could receive funding for leading the way in performance-based transformation. In anticipation of the IOM study, the Committee of Interns and Residents, a 13,000-member affiliate of the Service Employees International Union healthcare division, issued a news release stating it would be scrutinizing the report to see if its recommendations would promote workforce diversity, safety and quality improvement training, and protection of safety net institutions.